On Friday March 2, 2018 a nor’easter storm rolled into the area bringing heavy rain, high winds and heavy wet snow. In the afternoon, the weather became bad with winds gusting between 30 and 60 mile per hours. 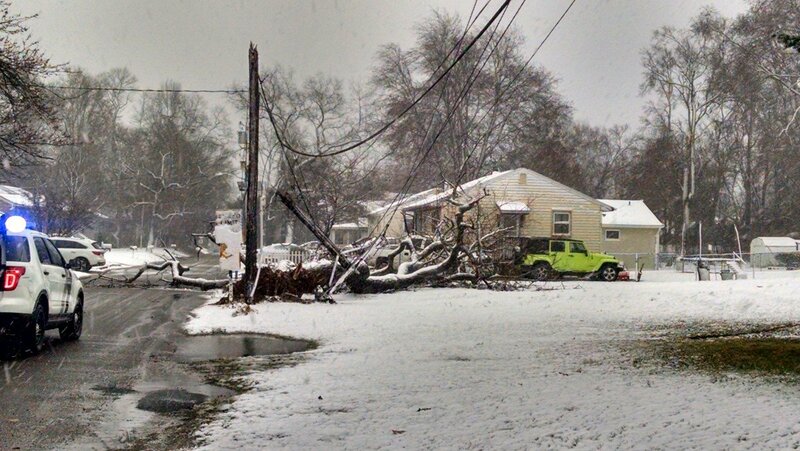 This brought down trees and wires. Squad 921 responded to wires down in the area of 214 Florence Avenue and then dispatched to Almonesson Road in the area of Shetland Way for motor vehicle crash, a tree had fallen and struck a vehicle, The crew was tasked with removing the large tree from the roadway as EMS attended to the driver of the vehicle. 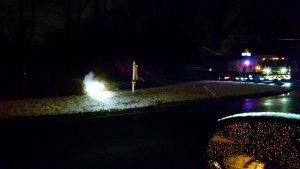 The Squad was dispatched to the area of Florence Avenue and Marion Avenue for additional wires down. Battalion Two was then dispatched to the intersection of Andalora Way and Murphy Avenue for a wires call. 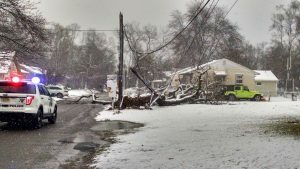 The crew arrived to find a large tree had fallen and took down a utility pole causing a second utility pole to lean far over. 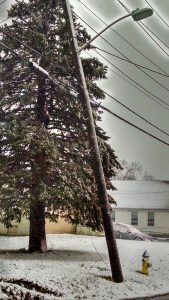 There were numerous primary power wires down in addition to the other utility wires. PSEG was notified and the area was made safe. The roadways were closed. Squad 921 was then sent to Turkey Hill Road and Ladds Lane for primary wires down and burning. 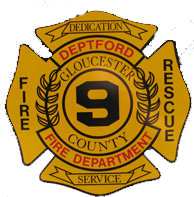 The area was secured with he assistance of the Deptford Fire Police and crews awaited the arrival of PSEG.